Today, and every day, I am thankful for lovely Mother Earth. Where would we be without Mother? May we always care for her in a gentle and loving way. 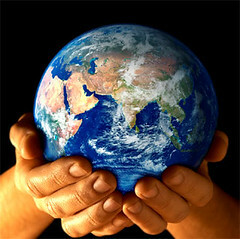 To celebrate Earth Day, our favorite online Raw Food store is offering FREE SHIPPING on ALL orders!! We knew you wouldn't want to miss out on this great deal!